Runners tend to worry about their weight because, it’s true, the leaner the better if you want to run fast. 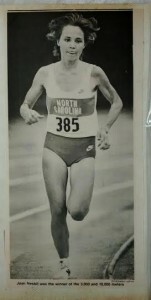 I’ll admit, early on in my running career I was a bit obsessive about counting calories. But I soon grew bored of weight watching … so, because I was in the sport for the long haul, I had to come up with a sustainable way to remain competitive without getting injured or sick or burnt out or amenorrheic (because I did want children some day) or chronically fatigued or chronically irritable from being HUNGRY all the time like all the other get-rich-quick dieter/runners out there. Here’s what I came up with: Train chubby, race thin. Like a wrestler, I treated the national championships as a match I needed to “make weight” for. I would “let” myself eat normally – while training very hard – without worrying about the scale for most of the year (my body had a set-point training weight of 103 pounds). Then, about 6 weeks before the championships, I would consciously cut out dessert, snacks, and seconds on meals until I lost one pound per week to get down to 97 lbs racing weight. I know that sounds obsessively thin, but I am only 5’1″ so it’s still on the not-so-lean side of the elite-runner spectrum. 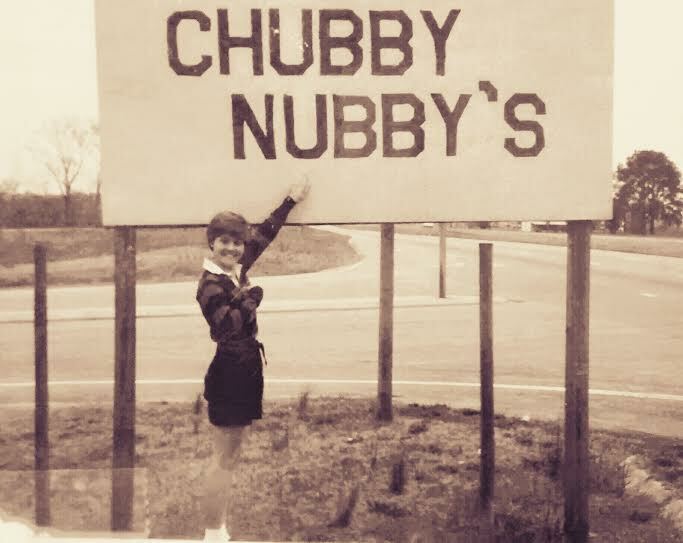 My college coach once called me “Nubby” because of my name “Nesbit” and my lack-of-height (pencil nub?) so I snapped this picture on a road trip. You can see by my full cheeks ^ that I was in the “train chubby” phase of the year. 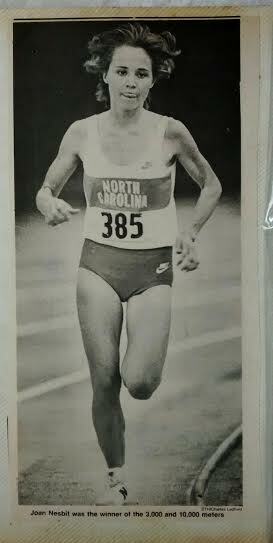 Fast forward to the end of track season, senior spring at UNC, where I had safely lost those 6 pounds in order to be lean enough to break the ACC record in the 10,000m. Today, my mantra is more along the lines of Train Chubby, Race Fat because I’m still in it for the long haul and, besides, nobody likes a skinny (cranky) Santa.